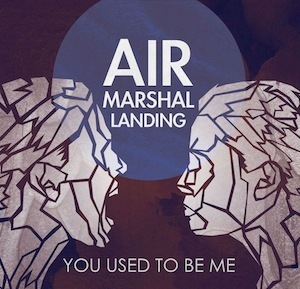 The Canadian three-piece Air Marshal Landing hold enough instruments to compliment a band of ten, and yet they have managed to juggle the vivaciousness of such a wide array and channeled it into a pleasing debut album that’s hard to turn away from. You Used To Be Me contains versatile arrangements that are guaranteed to satisfy the average indie rock fan, whilst also attracting a dyanmic, genre-riddled audience with an unquenchable thirst for something a little more fresh during the summer months. In contrast to their earlier work, the record ventures into a deeper and more contemplative train of thought. Yet there isn’t an absence of fun. The happy-go-lucky, coastal influences are there for all to see, most particularly on numbers such as “Jessie (West Coast),” a slick track that wouldn’t seem out of place in the Foster The People-led 2012 indie-surf dominated summer. “Me And My Friends,” the lead single released as a teaser track, was accompanied with a striking music video and much anticipation ahead of the album release. Continued online interaction and contribution to an effervescent live scene has led to a increased buzz in recent months, especially when you consider that the record has been in the making for a good five years. We can only hope that it reaches heights unknown in wake of fierce competition.